It’s well known – and proven – fact that developing a presence on social media is essential if your business is to flourish. Gone are the days of a Facebook post here and a tweet there for the sake of it; rather it’s more about clever engagement and building relationships with key contacts. 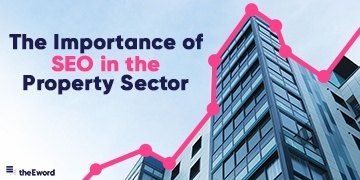 Property is a sector which particularly benefits from an active social media profile – with an abundance of development updates to shout about and a large network of collaborating businesses to interact with, the opportunities are endless. 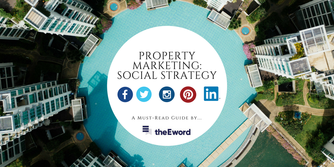 In our Ultimate Guide To Property Marketing, we’ve put together our top tips for social success in the world of property – take a look at the below and tick off what you may already be doing and, more importantly, what you need to step up. Facebook – share PR news stories and images of your developments, from planning permission being granted, right through to topping out ceremonies and first residents. Encourage people to share their snaps of the site before you started work and any memories they have if it’s a particularly historic place. Twitter – build lists of relevant journalists, across both trade and consumer media, who would be interested in news about your developments. Pinterest – create boards that show off the real ‘wow’ factor. Think about the best categories for boards; for example, you could include time lapse videos on there, ideas for interiors and shots of the surrounding area. LinkedIn – stick to corporate updates and any CSR news that may be associated with a project. For a more detailed guide on how to get the most from each platform, check out our article Social Media Marketing: which channel is best for your business. Getting involved with existing conversation is just as important as creating it, so make sure you’re monitoring what’s being talked about and that you’re reacting to relevant chat as quickly as possible. It goes without saying that you should listen for mentions of your company name, but also keep an eye out for industry-specific topics and what your competitors are saying. While retweeting your competitors and engaging in conversation may not seem like a method to overtake them, it can in fact open up doors to new followers and prospects, as it helps to build trust and authenticity…not to mention the odd bit of light-hearted banter! 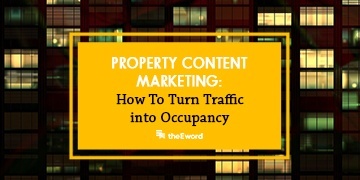 Do some digging into businesses and individuals with large followings and start to build relationships with them. Following mainstream media outlets is a good starting point, but taking it one step further by following relevant journalists, industry experts and influencers will stand you in good stead to be part of their ‘inner circles’. However you choose to build your social media strategy for your property developments, spend time researching your audiences and looking at what your competitors are doing, to ensure that you pave the way for social success in the industry! 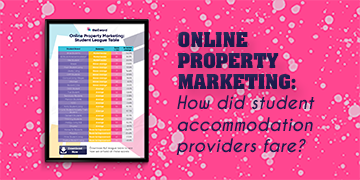 If you’d like an in depth analysis as to how effective social media strategy can help to drive leads and conversions on your site, make sure that you download our Ultimate Guide to Online Property Marketing for more information.